One of the greatest resources of the Highlands and Islands of Scotland is the dark starry skies over so much of the area. 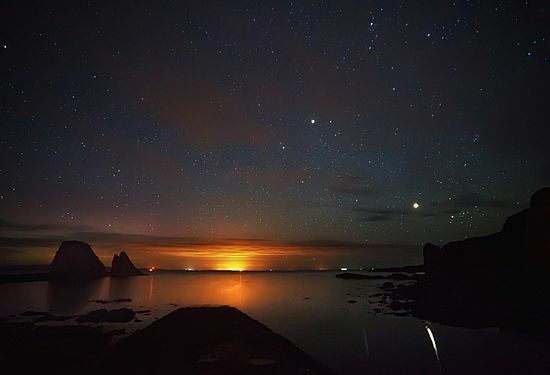 You don't have to go far from the towns to find a pitch-black sky overhead with a blaze of stars on a fine clear night. Two lively astronomy societies have developed in the region. One is Moray's astronomy club, Sigma. 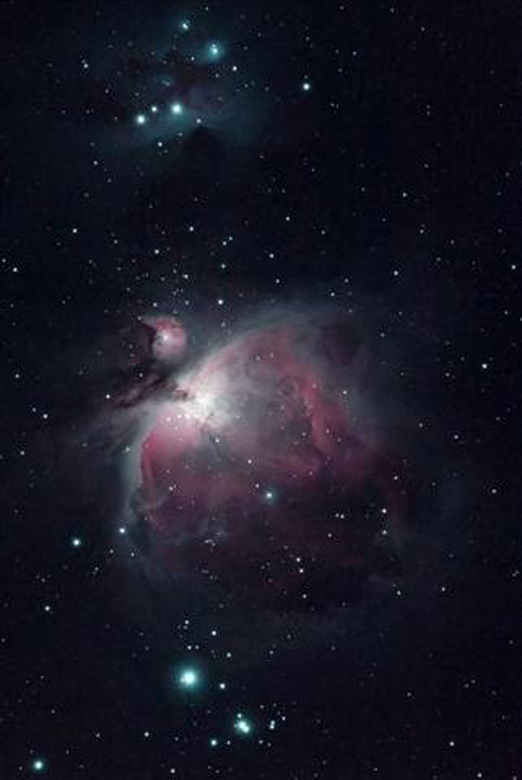 Here's Alan Tough's photograph of the Orion Nebula M42 – one of a group of bright objects forming Orion's Sword. Also in the picture are NGC 1977, M43 and NGC 1980. Then in the Inverness area, there is the Highlands Astronomical Society, with its own observatory at Culloden. 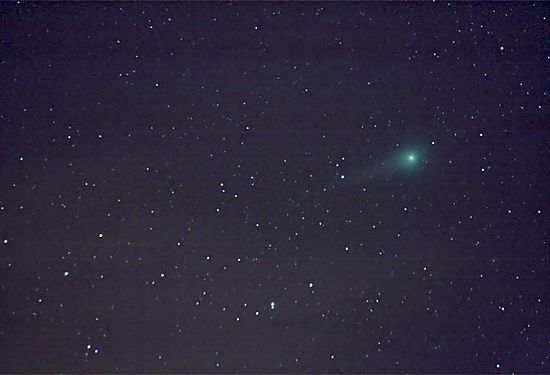 This is Eric Walker's picture of Comet Lulin. He used a Canon 400D digital camera with Sigma 70-300mm zoom lens, piggy-backed to a driven mount to prevent 'star-trailing'. Alan's picture of Orion's Sword is a composite one, for which the imaging equipment consisted of a Sky-Watcher 80ED, an HEQ5 mount, a Canon EOS 300D at prime focus, and an Astronomik CLS filter. The exposure details: sub-frames of 900 secs and 1000 sec were taken on 29-29 November 2008, and sub-frames of 600 secs, 180 secs and 60 secs were taken on 4-5 November 2008, all at f/7.5, ISO-800. The guiding equipment was Sky-Watcher 100ED and StarShoot Autoguider. The sub-frames for the central part of the Orion nebula were taken on 21-22 December with an unguided Shy-Watcher Evostar-100ED Pro at f/9 and a Canon EOS 300D at prime focus. The exposure details for these: 1 x 30 secs, ISO-1600; 10 x 20 secs, ISO-800; 1 x 10 secs, ISO-800. Both societies have a fine mix of active members, including a number of superb photographers. Many beautiful images can be seen on the two society websites. Further north, Caithness Astronomy Group have a winter programme of activities, and are rounding it out in early April with Spring MoonWatch events. There are also plans for a summer exhibition, and then when the dark nights return in September they will hold observing events and Autumn MoonWatch evenings. And further north still, the skies about the Orkney islands are regularly described in the local newspaper The Orcadian by Rousay astronomer John Vetterlein. His Sky Notes provide a wealth of detailed information about what to see overhead, along with his photographs. 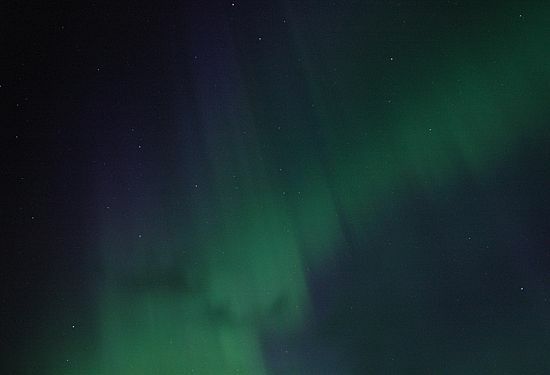 He has some particularly beautiful images of the Northern Lights.